Regular checkups are important for the health and well-being of children. Our Family Medicine Department treats illnesses common to children, provides Health Check screenings and all immunizations for children, and offers sports physicals upon request. Referrals are made from this area to our dentists or other specialists as needed. Patients without coverage may be eligible for the Slide Fee Discount Program. The number of family members in your household and the amount of your annual income will be assessed. You may call 252-522-9800 to inquire what forms of income documentation is accepted. Dr. King is a board certified cardiologist and is affiliated with UNC Lenoir Healthcare-Kinston. He received his medical degree from University of North Carolina at Chapel Hill School of Medicine and has been in practice for more than 20 years. Dr. King and his wife, Linda have three children, Michael, Stephen and Melissa. They are members of Queen St. Methodist Church. Rekita Williams was born in Kinston, NC. Her family hometown is Trenton, NC, she currently resides in Winterville, NC. She made the decision to go into healthcare at a young age as passion has always been to help/serve others. She attended Edgecombe Community College and obtained an Associate Degree in Nursing in 2009 and attended Winston Salem State University obtaining her Bachelors in Nursing in 2011. She has worked in many areas of health care such as Acute Care on a Cardiac/Telemetry Unit as well as a medical Intermediate Unit. She worked as the Assistant Director of Nursing of a Long Term Care Facility until entering graduate school in 2012. 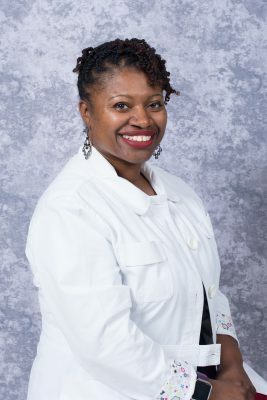 Ms. Williams obtained her Masters in Nursing from Winston-Salem State University in 2015 and has worked in Primary Care with a focus on prevention of chronic disease and maximizing outcomes in those with chronic disease. She is currently a member of the American Association of Nurse Practitioners. Ms. Williams enjoys spending time with family, especially having mommy-daughter dates. She also enjoys painting, traveling and giving back to the community by participating in health fairs and service events. Dr. Tripp is board certified by the American Nurses Credentialing Center and has been active as a nurse practitioner in pediatrics since 1998. She is a Fellow of the National Association of Pediatric Nurse Practitioners for whom she acts as a child obesity expert for southeast region of North Carolina and has served her community as a childhood obesity awareness advocate. She earned both a Doctor of Nursing Practice and Master of Science, Family Nurse Practitioner degree from Duke University. Her Capstone project concentrated on the use of Motivational Interview techniques in treating child obesity in the pediatric office. She earned her Bachelor of Science in Nursing from East Carolina University. Her research interests include enhancing the treatment of child/family obesity and recognizing teen depression/risk-taking behaviors. In addition to obesity, she enjoys treating other chronic childhood illness such as asthma and ADHD. Dr. Tripp, Nurse Practitioner enjoys treating childhood illness in all infants and teens. She provides annual physical assessments to ensure physical/psycho-social health for children, teens and young adults. She joined Duke University School of Nursing in 2011 as a Faculty of Record/Clinical Instructor/Consulting Associate and continues to enjoy this work. 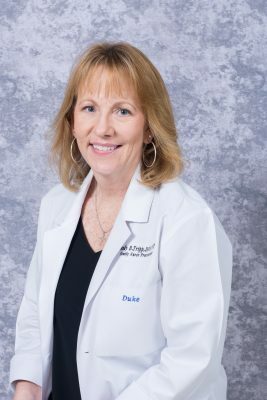 Her diverse experience in education includes teaching adult and pediatric courses for Duke University School of Nursing and previously teaching for the University of Mt. Olive and serving as expert consultant for Western Governors University. She is a Legal Nurse Consultant per diem when expert witness needs arise for a firm in Tennessee. Dr. Tripp has worked as a Registered Nurse since 1986 in various roles including adult critical care, hospital management and occupational health. 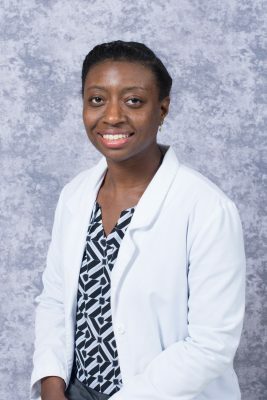 Danyel Vines, FNP-C joined Kinston Community Health Center's Family Medicine Department in October 2017. She completed her undergraduate degree in Nursing at the University of North Carolina at Chapel-Hill in 2010. She worked as a Registered Nurse at Vidant Medical Center in the Internal Medicine and Mother/Baby Units. She completed her Master's Degree at Duke University in 2015. Mrs. Vines enjoys spending time with her husband and two children. She also enjoys watching movies. Stephanie is a North Carolina native. Stephanie obtained her Licensed Practical Nursing in 2008 and transitioned into the RN program where she obtained her Associates Degree in Nursing in 2010 from Lenoir Community College. Stephanie is currently enrolled at Brigham Young University where she is working on her bachelors of science degree. Her nursing background is in Emergency Medicine. Stephanie has worked at KCHC since 2014 starting out part time as a triage nurse prior to becoming full time in 2015.